If you are in the market for a so-called Ultra HD Blu-ray friendly drive after the leaked AACS 2.0 Volume Keys, then read on. We’ve compiled a list of all Ultra HD Blu-ray drives, combined the lowest price on all major online retailers in the United States. Also feel free to share places (and prices) of online stores throughout the rest of the world. 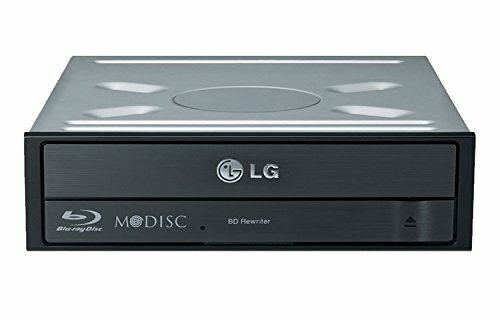 Ultra HD Blu-ray friendly drives are Blu-ray drives that can read Ultra HD Blu-ray discs, but don’t work with official software such as PowerDVD. The drives will work with DeUHD and with MakeMKV combined with the leaked AACS 2.0 Volume Keys and a non-revoked AACS 1.0 certificate. This combination works because there is a loophole in the AACS 2.0 protection. Currently there are 10 Ultra HD Blu-ray friendly drives on the list, but only 4 of the drives are worth buying. Either because you can get it for a fair price and/or because there are sufficient drives in stock. Based on this list, we would recommend the get the LG BH16NS40. The drive is a bit more expensive than e.g the ASUS BW-16D1HT, but it’s widely available, also outside the United States and you don’t have the hassle of rebates. If possible, make sure you get one with SVC code NS50 on the main label on the drive. Also make sure to not update the firmware. Drive sold-out? Don’t worry ! We found additional sources to get Ultra HD Blu-ray friendly drives – And they come with the proper firmware straight away! Unfortunately there is no guarantee the drive will work, so buy at your own risk. Most of the times you will be able to return the drive in case it doesn’t work for you. Discuss these drives and the leaked AACS 2.0 Volume Keys on our Forum.